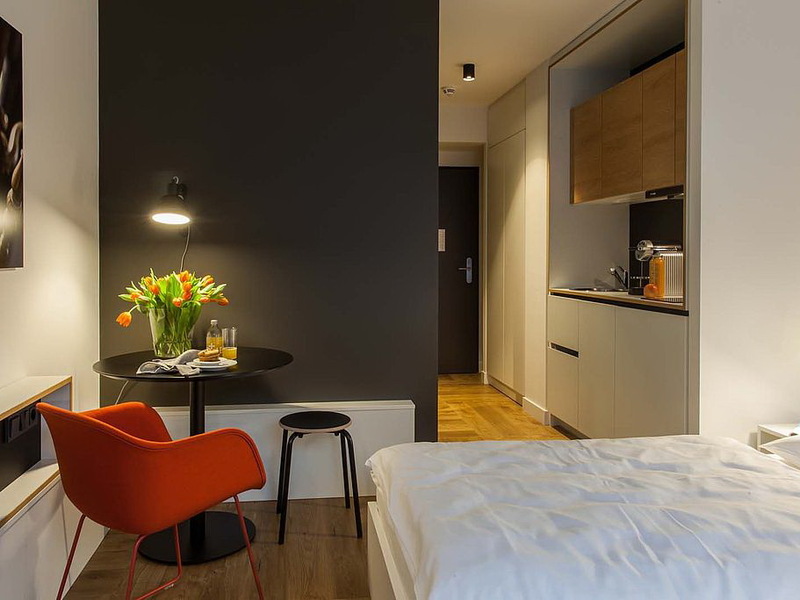 Serviced Apartments are leading the way in affordable hotel‐style accommodation. A serviced apartment is a completely furnished apartment available for both short‐term and long‐term stays. If you are not a student dormitory kind of person and you don’t want to rent a private apartment for a year or two, then serviced apartments are just for you. They offer more than just a room. They have separate areas for cooking, dining, living and sleeping, offering a better home away from home experience. Why should you choose a serviced apartment? ✓ Better Cost ‐ Serviced apartments cost approximately 30% less than an equivalent hotel room. They have a kitchen or kitchenette, so you can also save money on restaurant costs. Serviced apartments provide all other hotel‐like amenities such as maid service and reception or 24 hour customer service. Utility bills are inclusive. ✓ Space ‐ With plenty of room to work, entertain and relax, serviced apartments offer the opportunity to stay in spacious surroundings ‐ rarely possible in a hotel. Having more space means guests can enjoy enhanced privacy, thus giving you the space to socialize or to retreat individually. ✓ Flexibility – Essentially the serviced apartments combine the flexibility of apartment living with the services of a hotel. With your own kitchen facilities, you’re free to eat as you wish, which is ideal for those who want to avoid the unhealthy lifestyle that can go hand‐in‐hand with the life of a student! Where do you find the best serviced apartments? while now and we can assure you that if you go with them, you will have the best possible experience. Whether a student, newcomer in Vienna or a commuter ‐ the serviced apartments of room4rent offer a convenient solution for all. They offer temporary, furnished homes for a period of at least two months. In addition to the apartments, room4rent offers a wide range of services and products for rent ‐ from cleaning and laundry services, sauna and fitness, to kitchen and bath accessories. 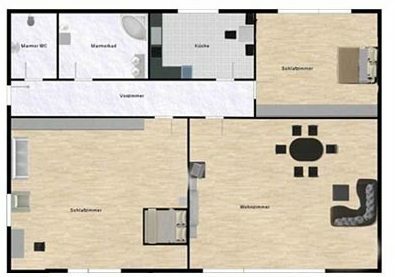 Since September 2014 there are also 182 room4rent apartments in the Leopoldstadt in the fair Carrée North. And since September 2015, further 107 serviced apartments are finished in the Leopold Tower, next to the underground station Aderklaaer road. All you have to do now is pack your bags and book online ‐ room4rent is ready to be your new home, but, are you? On their website you can rent your new apartment and get all the important information you need. Happy booking!